Joanne Massiah is an Antiguan and Barbudan politican and former Cabinet Minister. Currently, she is the parliamentary representative for All Saints East & St. Luke. Joanne was born in the village of All Saints right at the crossroads. Her roots are in John Hughes, Seatons, Willikies and Glanvilles. She is a graduate of the Antigua Girls High School, an honours graduate of the City University of New York and holds a B.A in Political Science. 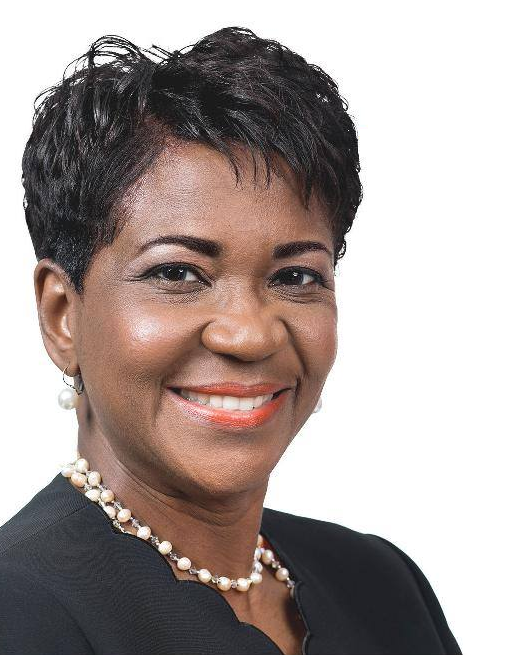 She also holds a Doctor of Jurisprudence degree from the University of Oregon Law School and is a member of both the New York and Antigua & Barbuda bars. She holds Executive Education Certificates from the John F. Kennedy School of Government at Harvard University. Massiah is an Attorney-at-Law by profession. Prior to assuming public office, she practiced in the law firm of Massiah and Mack where she specialized in civil, corporate and family law. Massiah is the first woman appointed to the Upper House of Parliament by the United Progressive Party (UPP). She is a strong advocate for women's rights and has spoken out internationally on the importance of women and children in Caribbean societies. Her activism includes being a past president of the Collaborative Committee for the Promotion of Emotional Health in Children (CCOPE), a member of the Professional Organization for Women in Antigua and Barbuda (POWA), a founding member of the Performing Arts Society of Antigua and Barbuda (PASAB) to name a few. She regularly counsels young people. In 2004 she was appointed Minister of State in the Ministry of Agriculture, Food Production and Marine Affairs in the Baldwin Spencer administration. Massiah successfully contested the All Saints East & St. Luke seat in the 12 June 2014 election, defeating Colin James of the Antigua and Barbuda Labour Party. She later assumed the position of Minister of Agriculture, Lands, Marine Resources and Food Production following the death of the substantive minister Charlesworth Samuel. During the UPP second term in office, Massiah served as Minister of State in the Ministry of Legal Affairs. Senator Massiah is the proud mother of two adolescent sons, Kurt and Brian, both of whom are enrolled at Morehouse College in Atlanta, Georgia.